This is a simple thought. When you are in retirement or getting ready for it, you are “not in it for the long haul”! Getting older can sometimes feel like a chore, but it comes with the added benefit of perspective; asset markets have a cycle. If you are in your 60’s, you have been through 4 or 5 Business Cycles and know they all end badly. This current Cycle will not be any different. Already, the current expansion is the second longest on record. It is also the weakest expansion ever! In this Cycle, the GDP has never exceeded 2.3% and that is with massive fiscal stimulation. The Great Financial Crisis scared the authorities and Ben Bernanke embarked on a unprecedented program of Global monetary liquidation forcing the economy to postpone the cleansing of insolvent, poorly managed, or ill timed investments. 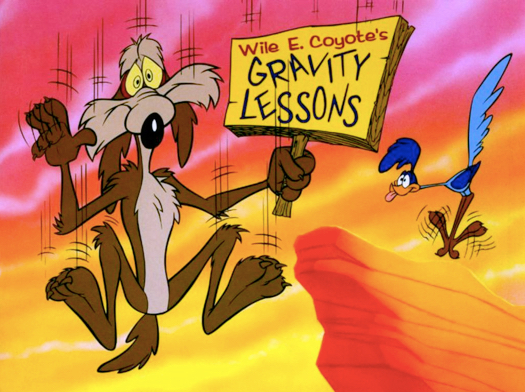 In June of 2018, Mr Bernanke now has been quoted as alluding to a Wile E. Coyote moment for the US Economy within the next 12 months as the Business Cycle hits an air pocket for FREE FALL! Knowing what will happen is not the same as when it will happen! There certainly is a Timing Component to consider. Leave the Stocks and Bond markets too early and the late stage gains are forfeited, too late and maybe all the gains are lost, or worse! Knowing that the Cycle does and will end gives an incredible advantage. One can watch for signs the Business Cycle is about to complete. Invariably, the Federal Reserve raises rates until a slowdown is well established. Not recognizing the Change in Trend the Fed generally hikes at least 2 or 3 times more until a downward spiral has started leading into the Last Stage of the Business Cycle which is ugly and can be very brutal. 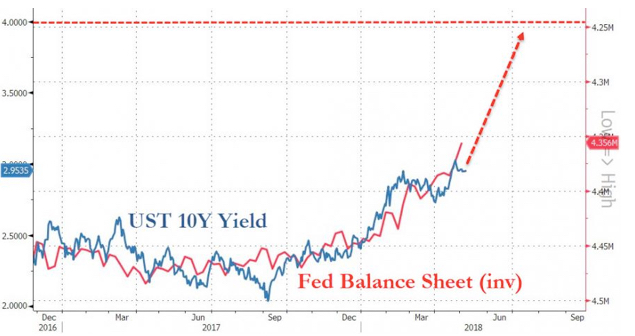 The Federal Reserve has been hiking rates for two years and now much more aggressively indicating a 25 basis raise every other Fed meeting. Retirees typically allocate 20-40% of their portfolio to Bonds and Debt. The cash flow generated by fixed investment is predictable and consistent; Debt is a Stealthy Risk. Rising rates will devastate Bonds. Would not the prudent course of action be to reduce to much shorter duration and raise the quality? This chart illustrates the drastic change in the pace of the rate increases. “Normalization” is still a long way away. 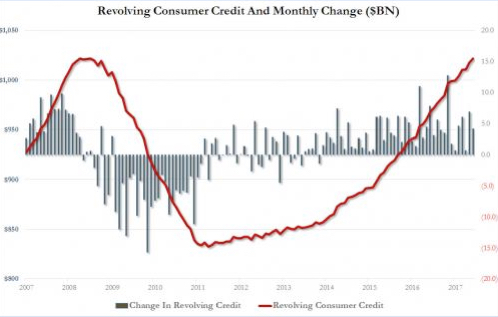 2.38% June 22, 2018, Credit card debt has already risen from 8% to well over 13% and the consumer has accumulated RECORD CREDIT CARD DEBT! 2 year Treasuries climbing FAST! The Federal Reserve not only directly influences the short term rates in the US, but sets the tone for the rest of the World. As rates rise in the US, other Central Banks are still suppressing rates notably the European Central Bank maintaining their policy of buying bonds. However, all central banks have stated they are in the process of tapering their Asset Purchases to Zero!! The effect is rates are now free to rise and the ascension has started. Further, this will come as no surprise, the markets are anticipating increasing rates. The process has started! 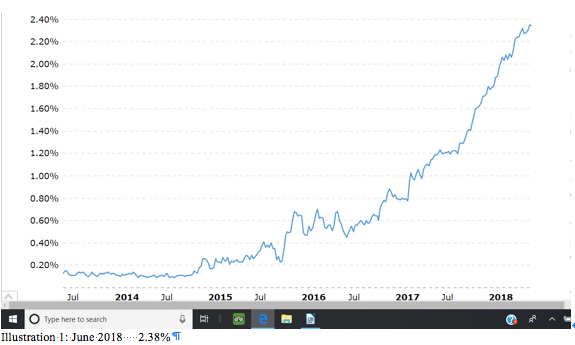 As of June 22, 2018, Turkey’s 10 Year Bond was priced at 15.7%. The Turkish Lire is also rapidly losing value; Turkey has defaulted 6 times in the last 100 years. Argentina, Brazil, Venezuela, the Ukraine are just a few of the Sovereign Nations in trouble with their debt. Look for Defaults; once started a possible Cascade. Turkey is in REAL trouble! US rates are driving rates higher throughout the World. Higher rates affect 40-60% of all Global Debt currently estimated at $217 Trillion. None of us think about the fact that Governments never pay the principal back or even reduce it, Government Debt is simply refinanced. Think about that!! What will tripling the debt service do to already stretched budgets? Social Services will need to be reduced. Not only those that receive the benefit, but also the providers will be curtailed causing a declining ripple effect throughout the World. When the Central Banks stop buying the debt of the Nations, Municipalities, Towns, Villages and Corporations, who will buy Debt priced a 0.1%, or 1%, or 2 %? Probably no one! Rates are heading up and heading up fast and much higher than anyone thought. 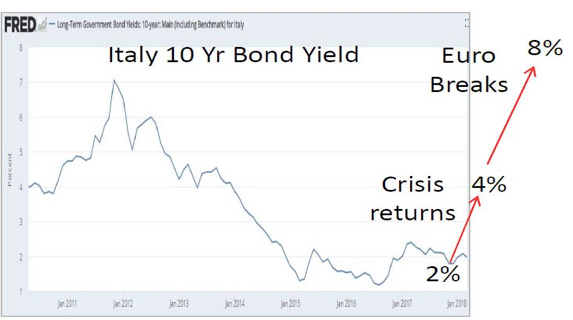 Italy has been in the news and not in a good way! Pay Attention! As the Federal Reserve unwinds the Debt on it’s balance sheet, long term rates will rise as well. The Federal Reserve has stated it’s intention to raise rates. Central Banks around the World have joined together to state they also will allow rates to rise. All Debt including Treasury Notes, Bills, and Bonds lose value when rates rise. The longer the maturity, the greater the loss. Unless one believes this trend is going to reverse , holding debt guarantees a loss unless held to maturity. Bond Funds never mature; probably losses have already started. A rapid rise in rates may cause a rush to exit the asset class. If Sovereign, Municipality, State, or Corporate bonds begin to default as rising rates and a slowing economy could initiate, there could be a Panic to sell Bonds. Retirees typically allocate 20-40% of their portfolio to Bonds and Debt. The cash flow generated by fixed investment is predictable and consistent; Debt is a Stealthy Risk. Rising rates will devastate Bonds. Would not the prudent course of action be to reduce to much shorter duration and raise the quality? Maybe reduce the exposure to Debt? One does not need to be fully invested at all times. Cash flow from other asset classes can easily replace fixed income revenue, potentially grow to double or triple the cash flow, and probably prove to be a much, much safer allocation. The Bond Market has an incredibly long Cycle of 70 years: 35 years with rates trending up and 35 years with rates trending down. It appears the Bond Cycle bottomed in July of 2016. As such, the Risk is very evident. As Turmoil begins in the World, Capital will flow to supposedly safer Assets. 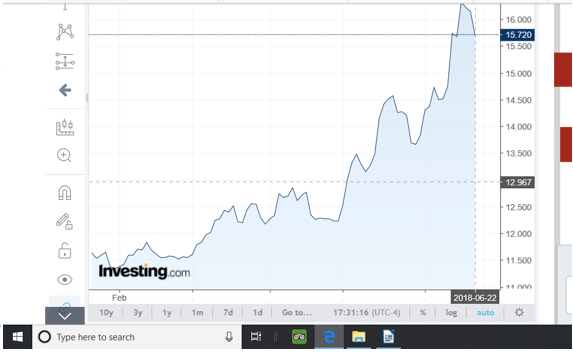 US Treasuries should enjoy a short window of lower rates as demand for Treasuries depresses rates.This Window may be short-lived, any adjustable rates should be reviewed for refinance into fixed. Further, for disciplined Investors only; Helocs might be created and the funds saved for a Rainy Day. When turmoil strikes, the Banks quit lending. Cash becomes KING! Stocks are a little more complicated. The typical Stock Cycle is 7.5 to 9.5 years. This one is the second longest in recent history. Stocks and Bonds peak and then roll over, but it is a process not an event. The US Stock market is usually the last to suffer. Turmoil around the world “Pushes” Capital to perceived “Safer” Investments. Martin Armstrong makes a very impressive case for yet higher prices for US Stocks particularly the Dow and S&P as foreign Capital leaves Europe, Asia, and Emerging Markets and looks for safety. There may be a limit as eventually events overwhelm and the Stock Cycle completes. 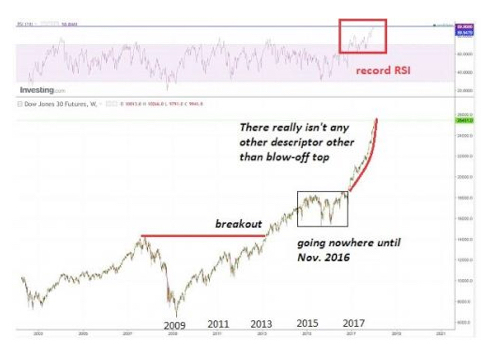 Since November 2016, the rise in the Stock market has been nothing short of “Explosive”. 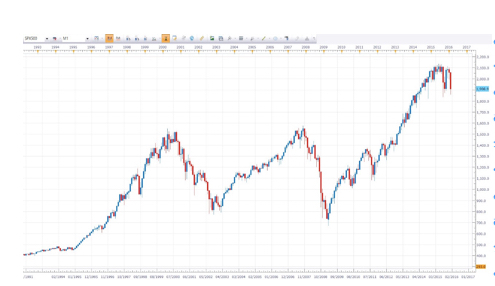 Did the Dow peak in February? As of June 2018, the Dow is just about even for the year; unless you invested in January! Retail Brokerages opened record new Stock accounts in January of 2018 as the “Retail” crowd rushed in with maximum FOMO ( Fear Of Missing Out). Private and Institutional money that had entered the S&P and DOW in 2009, were very happy to sell to them!! Timing is very important so is the Asset Class! Wealth is gained by entering an asset class early in it’s cycle. Commodities are still bottoming; Rental Real Estate is approaching mid-point with many years until it completes. 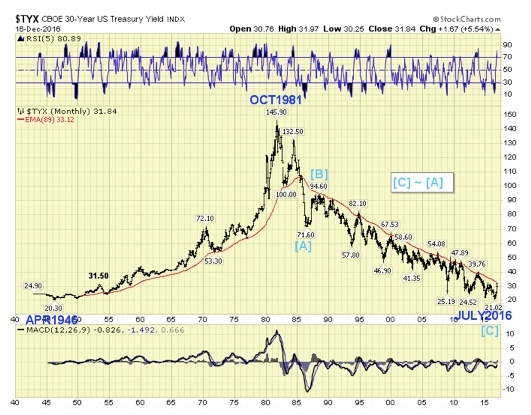 This entry was posted on August 6, 2018 at 5:35 PM and is filed under Michael Douville with tags Bear Market, bonds, California, Cash Flow, commodity cycle, correction, cycles, Earnings per Share, fiduciaries, future, Global Economy, Global Recession, golden years, Investing, Labor Force, Michael Douville, monthly income, nest egg, Personal Debt, Real Estate Investment, recession, Rentals, retirement, Retiring wealthy, social security, Stock Market Cycle, Stock Market Surge, Wall Street. You can follow any responses to this entry through the RSS 2.0 feed. You can leave a response, or trackback from your own site.